Raila Odinga heckled in Rarieda, Siaya County after he echoed six-piece voting. - Bana Kenya News, Real African Network Tubanane. Home News Raila Odinga heckled in Rarieda, Siaya County after he echoed six-piece voting. 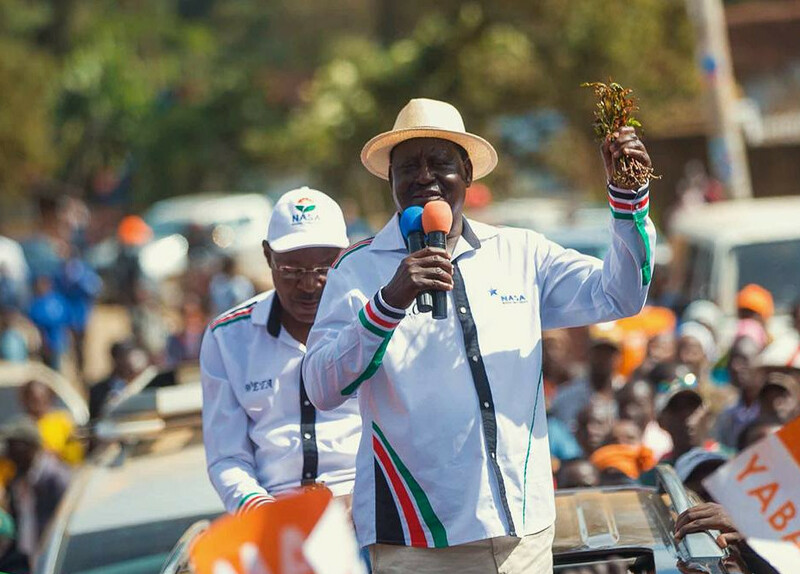 Raila Odinga heckled in Rarieda, Siaya County after he echoed six-piece voting. The NASA flag bearer Raila Odinga was heckled in Rarieda, Siaya County. Rogue youths stormed a rally where he was addressing people and disrupt the rally. The people who brought down the rally were alleged to be funded by an independent candidate Nicholas Gumbo. The Opposition leader who accompanied by the Siaya Senator James Orengo said that the area will need to vote in six pieces to make sure that the coming government has enough strength to pass bills in the parliament. The irritated youth started to throw stones at the rally and police engaged with the youth and the rally continued. Raila Odinga urged the people of Siaya to vote for him in coming elections in order to enjoy low living standard.